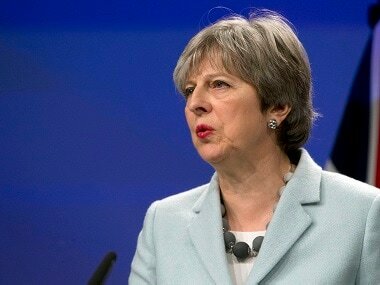 London: Prime Minister Theresa May called on her government to do its duty and agree a plan for Britain’s future outside the European Union, a last-ditch appeal to ministers to put Brexit rows behind them and take a "step forward". Just hours before hosting a meeting at her Chequers country residence on Friday that she hopes will overcome deep rifts that have hampered Britain’s Brexit plans, May urged her cabinet to agree a way to push on with all-but-stalled talks with the European Union. A united stance from the government cannot come soon enough for an increasingly frustrated European Union and for many companies, which have stepped up their warnings of the risk to tens of thousands of jobs if Britain leaves the bloc without a deal. But the first details of May’s new plan for close customs ties with the European Union - a "facilitated customs arrangement" - won mixed reviews, with one Brexit campaigner saying it could leave the country out of Europe, but still run by Europe. Her foreign minister, Boris Johnson, was reported by local media to have held a meeting of pro-Brexit ministers to plan a counter attack to May’s plans. “The Cabinet meets at Chequers... to agree the shape of our future relationship with the European Union. In doing so, we have a great opportunity – and a duty," May said before her ministers set off for the 16th-century manor house 40 miles (60 kilometre) northwest of London. "Now is the time for another step forward. We want a deal that allows us to deliver the benefits of Brexit – taking control of our borders, laws and money and by signing ambitious new trade deals with countries like the US, Australia and New Zealand," she added in a statement. Her effective deputy, cabinet office minister David Lidington, said he was confident ministers, who have long been at odds over how close Britain’s future relationship with the European Union should be, would reach a "concrete position". May has been reluctant to spell out her Brexit vision for fear of angering one faction or another. 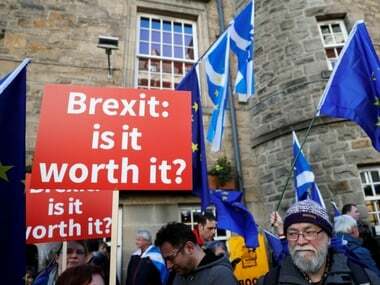 But with only nine months before Britain leaves the bloc and just over three months before the European Union says it wants a deal, she has been forced to act. On Thursday, May made her opening gambit to overcome the deep divisions in not only her government, but in her Conservative Party, parliament and across Britain by suggesting a new customs plan to keep trade flowing as freely as possible. 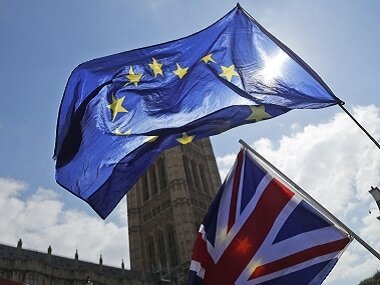 It would see Britain closely mirror European Union rules, use technology to determine where goods will end up and therefore which tariffs should be applied, and hand London the freedom to set its own tariffs on incoming goods. 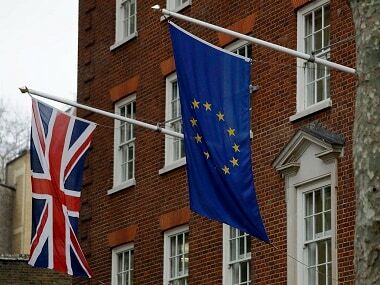 Britain would also be able to strike trade deals with other countries, her spokeswoman said. But Brexit campaigners, including at least two ministers in her cabinet, fear that the plan will keep Britain in the European Union's customs sphere. That, Brexit supporters say, would be a betrayal of her pledge for a clean break with the bloc and for Britain to win the ability to strike out alone. Her office has so far made public only a few details of the plan and it may be changed at the Chequers meeting, which is expected to run all day and possibly late into the evening. 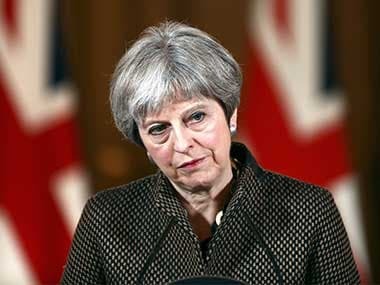 Even if she finds agreement at home, May still faces the hard task of winning the support of the European Union, which poured cold water on her previous suggestions for customs arrangements and has pressed the leader to come up with "workable" proposals. But for now, May hopes to concentrate minds at home. She said: "This is about agreeing an approach that delivers decisively on the verdict of the British people – an approach that is in the best interests of the UK and the European Union, and crucially, one that commands the support of the public and parliament."